We napped most of the day in preparation to the long overnight drive southward, cutting across the state of Nebraska. With the previous problems with Ol’ Blue, we decided to drive at night, all night long. This should be easier on the truck and tires with the temperatures being much cooler. The first part of the journey went ok, as it usually does. We had cell service and could communicate for the first few hours, but that was short lived. Soon we found ourselves surrounded by acres upon acres of corn fields. A few of you remember the old horror flicks of ‘The Children of the Corn’, I happen to be a child of the generation that got the beejeezus scared out of us. Michael Myers, Jason Voorhees and Freddy Krueger come to mind; yes I was one of those kids. 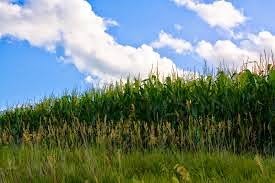 All of the images I had from ‘The Children of the Corn’, the psycho kids chasing the helpless victims thru the fields just before killing them came rushing back as we passed miles and miles of corn. Imagine this on both sides for miles and miles but pitch dark on a 2 lane hwy. What made my uneasiness worse was the fact that it was 2 A.M. on a deserted two lane highway with absolutely no hope in finding a cell phone signal surrounded by rows upon rows of head high corn. Talk about making your skin crawl, if you were one of the lucky ones growing up watching these movies then you can imagine how I felt. I was praying mile after mile that we didn’t have any truck/tire problem. Hoping we didn’t break down out in the middle of nowhere. The hubby would have to swerve the rig over every so often to make sure we were still behind him. Most trips we have no problem staying in touch by phone but this trip wan different from most, there was no signal for most of the night. You can do a lot of soul searching going down a lonesome highway for hours upon hours with no human interaction. After what seemed like forever the sunbeams started peaking over the horizon, this was an extremely welcome sight after that lonely night on the road. Soon we found an abandoned building with a big enough spot to part the rig. I have gotten pretty good at whipping up breakfast or lunch with minimal dishes and space. I hate using paper plates due to the ‘Reduce,Reuse,Recycle’ lifestyle we are trying to pass on to the lil one; but on trips like this they are a must. After breakfast we stretched our legs and walked for a few, enjoying the views before our eyes. We were on an old two lane road with abandoned buildings dotting the rolling hillsides and prairies surrounding us, we were in the middle of absolutely nowhere. This was going to be a good day, I knew this because we just happened to park at a crossroads and one of the roads was ours, Miller Rd. 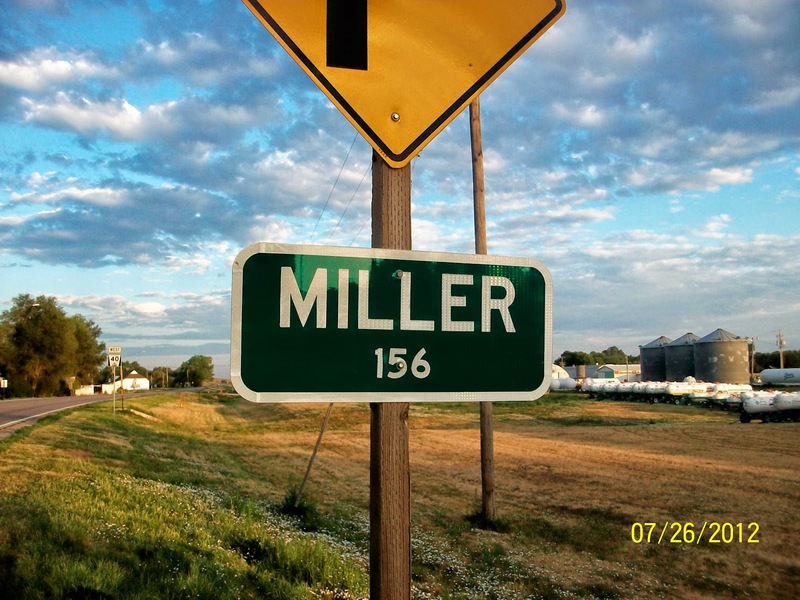 Yep, the Millers have their own road in KS. We had taken enough time filling the belly and joking about our own road that it was time to load up and move farther down the road. We landed just outside of our destination, I only say this as we ran out of fuel before making it all the way there; only 45 more minutes and we would have made it. After borrowing gas $$$$ from the friends we were going to work for we were able to pull into their yard and hook up. We were running on fumes in the trucks and our bodies after the all night long push to get to Atlanta, KS with what we had, no extra money on this trip. I had only planned on going a couple of hours north of our location in SD, to have pulled an all night run on the change we had in our pockets was amazing. After 38 hours awake it was time to wish the friends a goodnight and let our eyes close, we laid our weary heads down and slept for what felt like eternity.